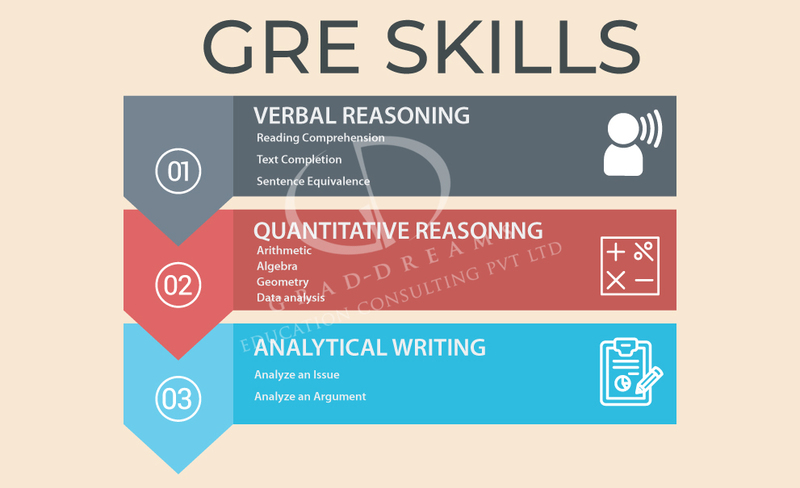 The GRE (Graduate Record Examination) is a test taken by prospective students who wish to pursue a master’s or MBA course or applying to business schools. It is a computer based exam that assesses the students aptitude and skills and move a step ahead in career. It is a 3 hour 40 minutes exam. Grad-Dreams provides expert GRE training to students to improve their performance on the GRE test. We also help students to register for the GRE test. You can check the details here. Intensive practise and comprehensive content on Analytical Writing Assessment (AWA), Verbal Reasoning and Quantitative Reasoning. 4:1 student ratio implies better individual attention to every student. Focus on improving vocabulary and quants for a long term benefit. The GRE training batch is initiated twice on 10th and 20th of every month. The lectures will be conducted thrice a week.